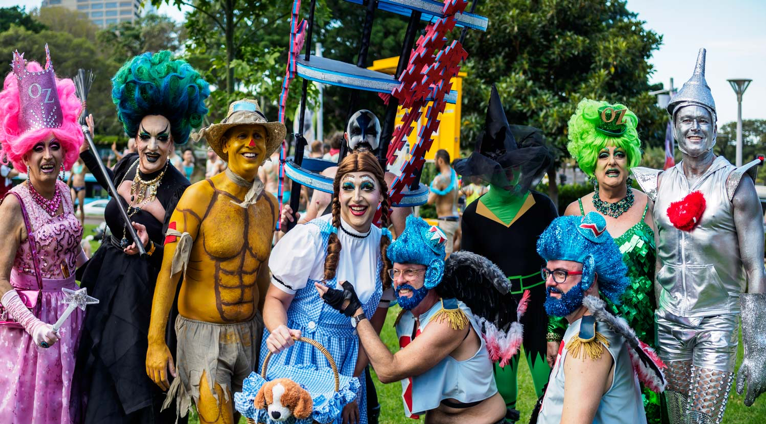 This is always a wonderfully photogenic event filled with colourful, unusual, and frequently outrageous outfits. The people are always interesting, to say the least, and all very friendly. They are not there because they are shy, they are there because they want to enjoy themselves and show off a bit. What better way for us to assist than to be there to preserve the event for posterity! Getting there: Suggested train from North Shore leaves Gordon Station at 16.11, arrives Town Hall at 16.47. Meet in second last carriage. Meeting: We will meet on the corner of Park & Elizabeth Streets, on the Hyde Park side, at 17.00. The Parade starts at 19.45 but the assembly area around Anzac Memorial at the southern end of Hyde Parkso that is where we will concentrate. Bring: Camera etc of course! The action is fast-moving so a tripod won’t be useful. Check In Focus article for Mardi Gras photography guidance. We will meet for coffee after the parade at a predetermined place although the city may be very crowded.